This beautiful illustration of a girl at one with nature has a dream-like quality. 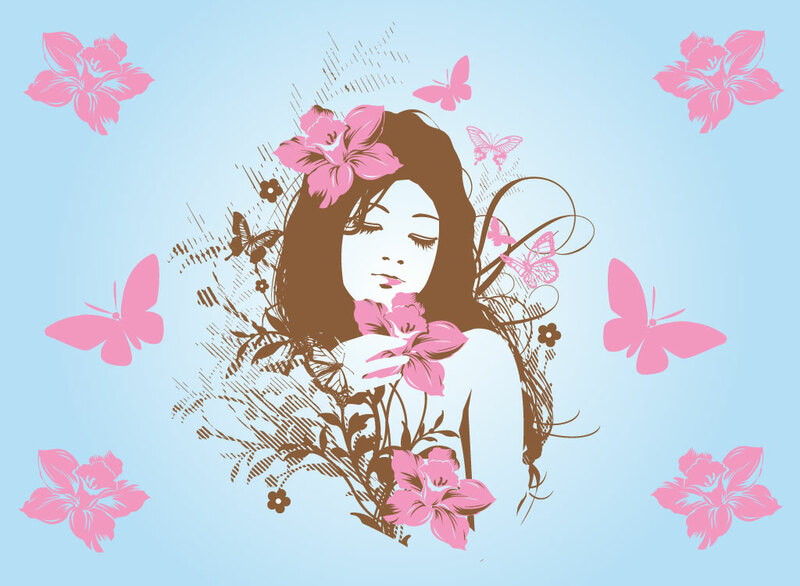 Soft delicate colors and a great hand drawn image make this a must for your girl illustrations, romance and tenderness stock footage image collection. Tags: Beautiful, Butterflies, Delicate, Dream, Flowers, Girl, Nature, Woman.